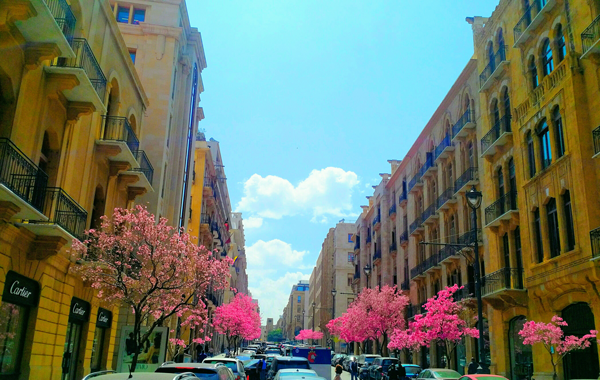 Beirut – October 29, 2015 – Capstone Investment Group SAL (“Capstone”), a leading real estate development firm, announced today the acquisition of the iconic former Laziza brewery in the trendy neighborhood of Mar Mikhael in Achrafieh. Capstone aims to preserve the existing building and convert it into a “village in the city”, led by famous architect Bernard Khoury, making it one of the most exciting urban ventures in Beirut. A distinguished group of high-networth investors, as well as a leading Lebanese bank participated in this transaction. From its founding in 1931, Laziza was Lebanon’s foremost brand of beer. Capstone seeks to celebrate the history of Beirut by preserving the existing brewery and converting it into a chic and trendy residential project offering lofts and small apartments (80m2 to 150m2), in an appeal against convention – convention in thinking, convention in building and convention in living. “This exciting project evokes an authentic connection to the place and to the past and will be part of the heritage of the city.” said Mr. Joseph Khawam, Chairman of Mar Mikhael Village Holding SAL, owner of the project. “My grandfather, Georges Gellad established the Laziza brewery in the early 1930’s and we plan to continue his legacy with this exceptional project that is being developed for exceptional people”. “We are very excited to bring to the market this unique project as true lofts are non-existent in Lebanon” said Ziad Maalouf, CEO of Capstone Investment Group, the project’s developer. “Our aim is to offer our clients a product that will provoke their imagination and provide a blend of modern living with an appreciation for the past. This is an opportunity for loft dwellers to embrace newage Mar Mikhael living in all its glory, with plenty of cultural and entertainment possibilities as well as an active city lifestyle. For those who crave something eclectic, out of the ordinary and convenient to all the city has to offer, a loft at Mar Mikhael Village may be for you!” The project is expected to be delivered in 4 years. About Capstone Investment Group SAL Capstone is a full-fledged real estate developer dedicated to developing upscale residential, commercial, retail, hospitality and mixed-use properties for today’s sophisticated buyer. Our development strategy aims to offer products that are unique and different, primarily on the basis of location, stylish design, efficient floor plans, quality construction, first-class amenities and ongoing maintenance after delivery. Through our strong focus on careful planning and attention to detail, we strive to create highly enjoyable living and working spaces. With our hands-on approach and dedication to excellence, we are committed to raising the standards of living in our properties.